Korma is the name given to a mildly spiced, yoghurt based gravy. This creamy sauce can serve as the base for vegetables, chicken, meat and egg. Popularly it is used for cooking mutton. It is a rich dish cooked in ghee and topped with cream and nuts. 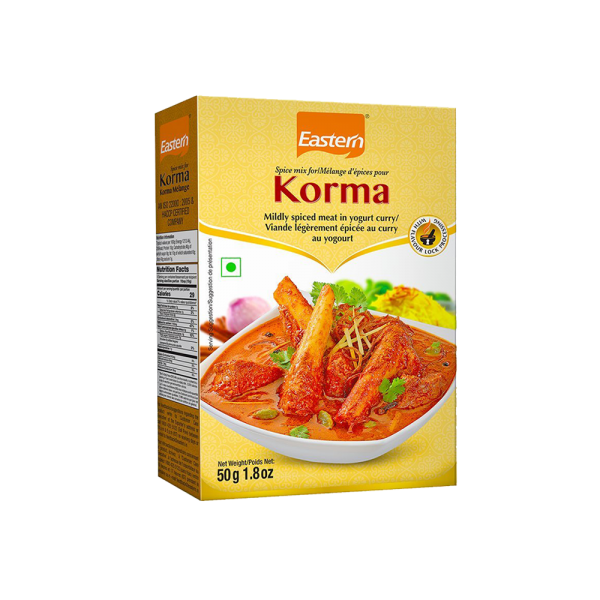 Recreate this intricate dish anytime at home with Eastern Korma. The rich assortment of spices such as cinnamon, cloves perfectly capture the essence of this age old dish.